Do you want a book that is holistic, different, practical and relatable with easy step-by-step actionable activities, and real-life examples? 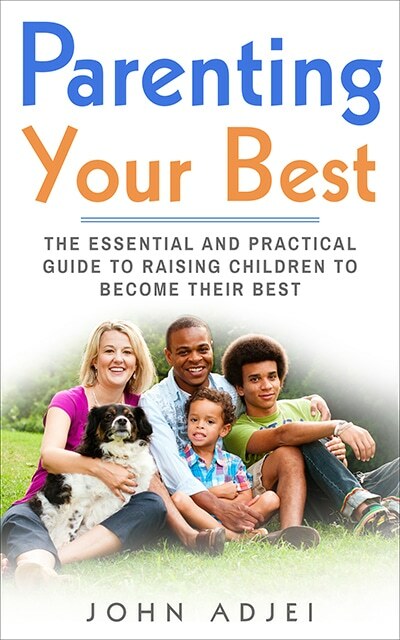 This book is for parents, guardians and anyone who aspires to raise a child to be their best. Those who have read the draft expect this book to be enormously helpful for others out there. You can grab your copy here: http://Author.to/AmazonParentingYourBest. John has been an educator in higher education in the United Kingdom for more than 7 years. He currently teaches Economics on pathway programmes at Newcastle University London. His teaching excellence recently earned him the title of pathway teacher of the year 2017. In addition to his professional ACCA qualification, he holds a Master’s Degree in Economics of Globalisation and European Integration, awarded by a consortium of nine global universities. He has discovered his purpose in life, and has a genuine passion to share this with the world, to make life a little better for everyone. As parents, John and Linda have raised three thriving children. They are still constantly learning and turning their knowledge and experience into strategies and tools to help parents on their own journey, and to be advocates for both children and their guardians. He has actually been sharing the success principles he has discovered with people in his book(s), workshops, and seminars.